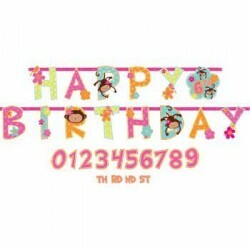 Floral Monkey Party SuppliesThere are 8 products. 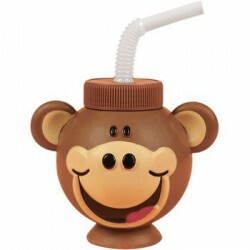 These cute Monkey Sipper Cups are perfect for your little boy or girl. 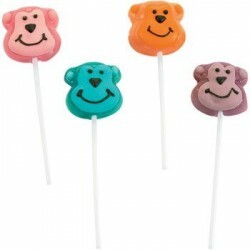 These adorable, smiley faced monkey cups come with large bendy straws and a twist on cap. Your little tyke will go bananas over these sippy cups! Size: 4", 13 oz. 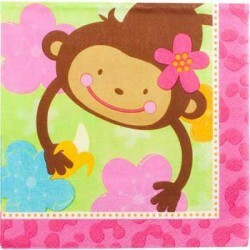 If anybody is monkeying around at the table, these Floral Monkey Napkins will be perfect for cleaning up. 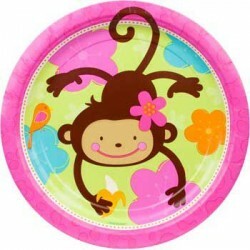 Sold in packs of 16, these double ply napkins feature a happy monkey dangling upside down holding a banana. 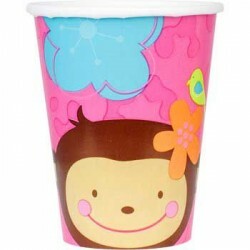 Size: 6.5" x 6.5"
These Floral Monkey Cups can hold nine ounces of hot or cold beverage, so they are perfect for your daughter's next birthday party. Serve the kids juice or lemonade, and serve the adults coffee or whatever your preference - you can even make strawberry-banana smoothies! Cups are sold in packs of 8. Size: 9 oz. With these Floral Monkey Party Blowers, the party will turn into a cacophonous jungle. 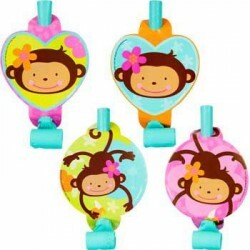 With blue and pink medallions attached that have a cute cartoon monkey, these 5.5" blowers come in packs of 8 and are sure to be a good time. 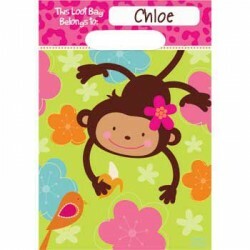 The Floral Monkey Loot Bags are great items to house all the party favors for your next gathering. With a cute cartoon monkey hanging around amidst a flowery background, the loot has a great home here. Each set comes with 8 bags, just perfect for stuffing with fun. Size: 9.5"